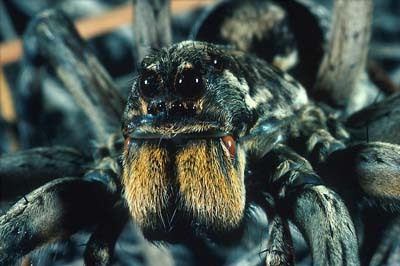 The large eyes of Wolf Spiders enable them to detect prey as they hunt along the ground. Different species have evolved colorations to match specific environments. Females carry egg sacs, and upon hatching the young are carried on the mothers abdomen for protection.